The Datsun Go is available in 5 variants and 6 colours. Here are more Datsun Go details such as prices, specifications and mileage. You can also check out the Datsun Go on-road price and EMI. Our detailed Datsun Go comparison further helps you compare the Hatchback with its rivals. DriveSpark brings you every Datsun Go information you would ever need. The new 2018 Datsun Go comes with upmarket and premium design and subtle updates to the front end. Up front, the Datsun Go features a redesigned hexagonal grille with chrome surround, new bumper with LED DRLs and sweptback headlamps. The side profile of the Datsun Go features a prominent shoulder line that runs across the windowline. The hatchback also gets body coloured ORVMs, roof rails and 13-inch steel wheels or 14-inch diamond-cut alloy wheels on the top-spec model. The rear of the hatchback gets a chrome lip at the base of the tailage. The interior of the Datsun Go features an all-black theme with silver accents around the centre console, gear lever and on the steering wheel. The dashboard design is new and looks and feels upmarket with the addition of new design elements. The Datsun Go draws power from a 1.2-litre, three-cylinder petrol engine that produces 68bhp at 5,000rpm and 104Nm of torque at 4,000rpm. The engine is mated to a 5-speed manual gearbox. 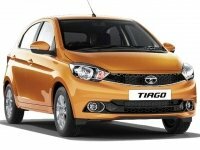 The 1.2-litre unit offers decent performance that is more than enough for driving in urban conditions. The initial acceleration is not that great, but the mid-range is good and the engine delivers the power in a linear manner without any engine noise or vibration. The Datsun Go returns an ARAI certified mileage of 19.83km/l and the mileage might vary depending on the driving and road conditions. The Datsun Go comes loaded with features such as a 7-inch touchscreen infotainment system with Android Auto, Apple CarPlay, Bluetooth connectivity, MID on the instrument cluster, electrically adjustable ORVMs, power windows and follow me headlamps. The safety standard safety features of the Datsun Go include dual front airbags, ABS, EBD, brake assist, reverse parking sensors, central locking and engine immobiliser. The top-spec model also gets keyless entry. The Datsun Go is a perfect entry-level hatchback for a first-time car buyer. The Datsun Go sports a premium and upmarket design and comes loaded with features. With an affordable price, the Datsun Go offers excellent value for money and the compact dimensions of the Datsun Go make it an easy-to-drive hatchback in urban conditions. 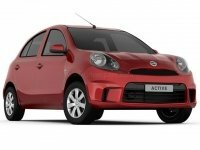 Is the Datsun Go available with AMT gearbox? No, the Datsun GO is available only with a 5-speed manual gearbox. What are the standard safety features of the Datsun Go? The Datsun Go comes with standard safety features such as dual front airbags, ABS, EBD, brake assist and rear parking sensors. 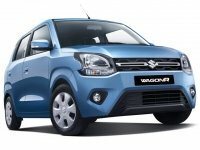 [carDesc] => Datsun Go is currently offered in 5 variants. DriveSpark helps you discover all Datsun Go model prices and technical specifications. We encourage you to browse through the research platforms to get Datsun Go in India mileage, colours, performance, safety and features of all Datsun Go variants on offer.